The Best Calibration Software for Monitors! Световно известна марка , производител на фотоапаратура, бинокли и оптика. Световен лидер в производството на обективи за DSLR камери. Производител на видеокамери за екстремни условия и аксесоари за тях. All spare parts offered by our service department are of guaranteed origin and full warranty provided by the manufacturer. When it comes to repairing or reviewing your lens or camera, our service technicians make use of all the available technology and experience resources to provide quality service. We value the services we offer and our loyal permanent customers are always grateful to us. Repair of any type of calibration lens and Axis convergence setting. We use only original spare parts of guaranteed origin for quality. Repair DSLR Cameras Any Model and Brand. We use only original spare parts. For the Pentax DSLR brand, we have calibration and tuning equipment for all K-bayonet lenses. Repair of camcorders recording on DV format, HDD or SD card. Possibility to order original accessories and spare parts of certain brands. Repair of multimedia projectors and projectors. We have a service base for repair of projectors, Hitachi brand. Complete support for all models of Hitachi projectors. 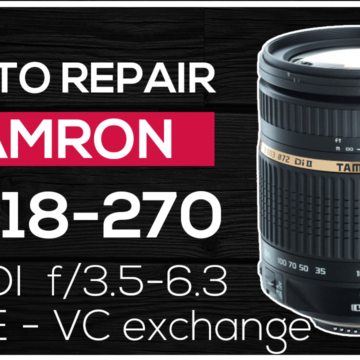 I had problems with my Tamron SP 17-50 lens, often losing focus. Service technicians have done the right thing, and I already have a fully functional lens. As a bonus I got brand new rubber rings for zoom and focus bracelets. Thank you! After purchasing a Pentax K-3 body, I found that my lenses are not accurate in different lengths. I use zoom lenses mostly. In the workshop they made correction in the body so that all the lenses are now with a precise focus. Thank you! I own a Sigma 28-70 lens and I was looking for a repair service on my lens. I missed it, and I certainly did not hope to be able to fix it. After giving me a repair price and confirmed, in a few days I received joyful news – the lens was ready. I strongly recommend! I purchased DSLR from the internet and was not expected to be what was described in the offer. The service team consulted me and offered me a really good option to get the camera the way I imagined it. They replaced the rubber seals, made the necessary adjustments and service. Thank you! 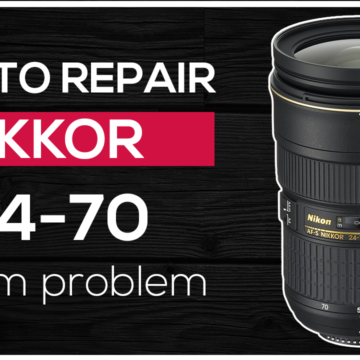 By now we have repaired thousands of new and second-hand lenses and cameras. In recent years we have won many satisfied customers thanks to the quality of the repairs we offer. Our technicians always strive to provide maximum high-quality repair, of course, at affordable prices. © 2019- Aquarius Service Ltd. All rights Reserved!